There are many gardens and monuments dedicated to Peace and they are worth seeking out when you are on your travels. 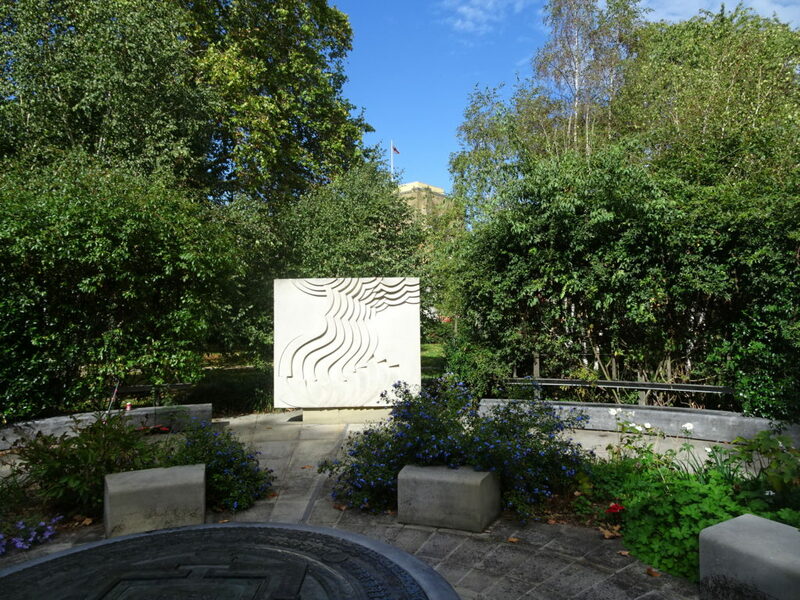 In May 1999, His Holiness the Dalai Lama opened and consecrated the Tibetan Peace Garden next to the Imperial War Museum, London, UK and it has been enhanced by Arabella Lennox-Boyd. The original contains Buddhist features including a language pillar and at its heart the Kalachakra Mandala associated with world peace. Eight meditation areas surround this main monument. Four modern Western sculptures representing Air, Fire, Earth and Water have been carefully located to the north, south east and west. If this all seems a bit too much and you just want a quiet, soothing walk, head for the inner gardens which are scented with herbs, jasmine, honeysuckle and roses. An outlying landscaped area is also great for ambling around. There is now a circular paved space surrounded by double rows of Hornbeam Carpinus Betulus and a number of Betula ermanii and B. Utilis in numbers important to the Buddhists and the concept of peace and tranquility. 6,7,8,12,16,21,37 & 49. 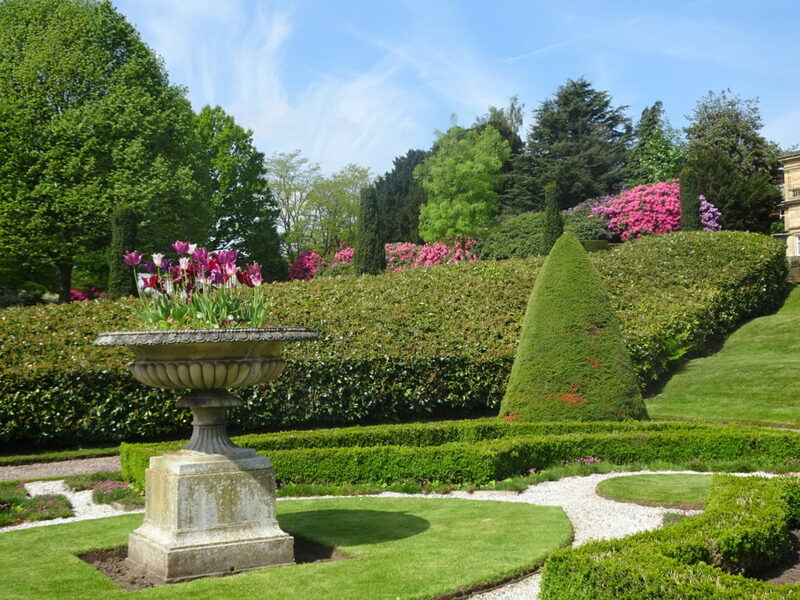 It may seem unusual to feature a subsea area in a series about gardens but this post may provide some food for thought. The oceans and seas are still capable of surprising us with a bountiful harvest including new and exotic eating experiences. Kelp is part of the brown seaweed family phaeophyceae or laminariales. There are many different genera and species that grow in shallow, temperate saline water. Kelp provides shelter for numerous fish species. It is also a breeding ground for juvenile sea creatures and a key part of the ecostem. The fronds or leaves sway in the temperate waters across the globe including thearound the UK. The stipe or stalk stretches down to root in the seafloor anchoring the plant around rocks and boulders. Iodine is present in Kelp along with many other important minerals. There is dramatically more calcium in Kelp than a similar volume of milk. Is Kelp Good For You? 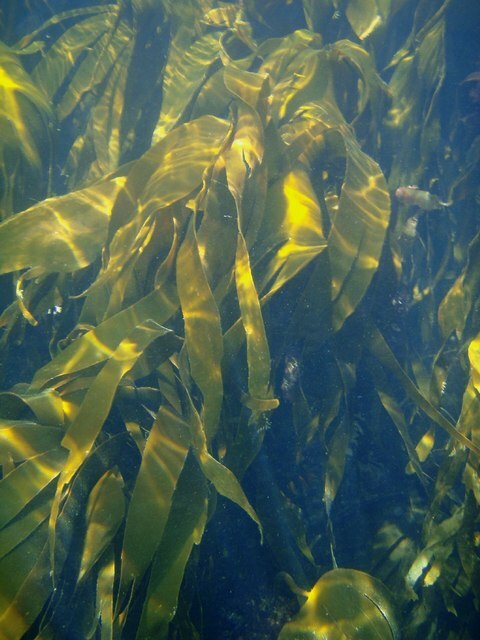 Kelp, produces a thickening agent used in ice cream, toothpaste and other products. Some kelp species are eaten in salads and as edible decorative wrapping for sushi rice. Kelp is used to produced Soda ash by burning. These uses makes it a progressively more valuable commodity. 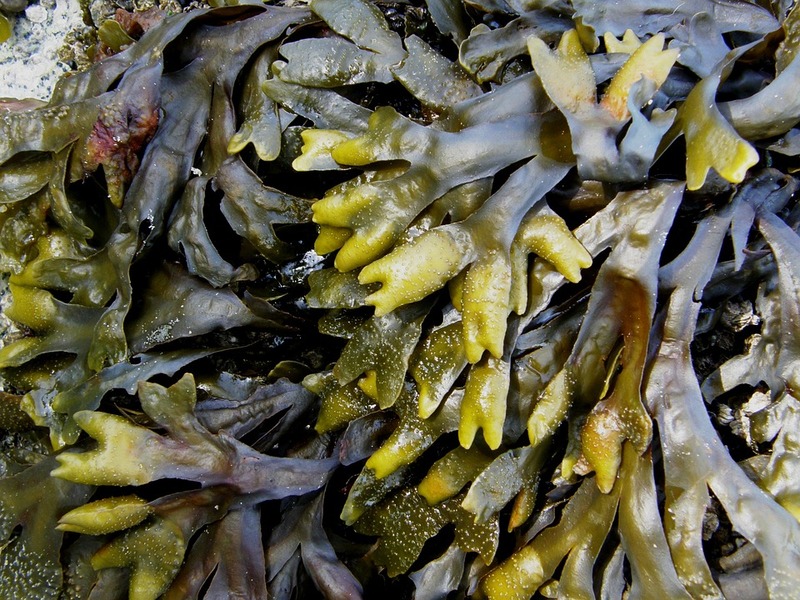 Harvesting these sea-vegetables by hand sustains several coastal communities. Mechanical kelp harvesting is too intrusive, damaging of future crops and the ecosystem but it is on the increase. Salads can be made with Sea Lettuce or Purple Laver. Laver bread is made from seaweed. Agar and Carrageenan can be extracted from seaweed for use is used in the production of paper and toothpaste. Chinese Taoists or Daoists sought to recreate the vision of immortals who they believe live in the Mystic Isles. This perfect land was envisaged as a route to eternal life. Taoism is a religion of nature where everything has its own spirit and deities reside in natural objects. So Taoists gardens reflect landscapes and gardens that are ‘works of nature’. Water is the core focus of these gardens. A central pool and or a stream and waterfall provide a focal point. Pools should be a natural shape without straight edges or hard lines. Mountains are featured from rocks often one large rock. Each rock is carefully place to optimise its own spirit. Pitted stones and those worn with age are prized for use in grottoes. Buildings are important as a place to view nature from the best angle. Generally the buildings are clean simple or rustic structures. Imperial gardens were, not surprisingly, elaborate structures. Types of building and structures include verandas, pavilions, gazebos, covered walks, dry boats to extend over water and of course bridges. Borrowed views created by windows and pruning emphasis near and distant views. Contrast is key to providing good feng shui. Tao intention is to be the way the path or the road to truth. The ‘simple path’ to return to to the simplicity and naturalness of the inner pulse of the Tao. 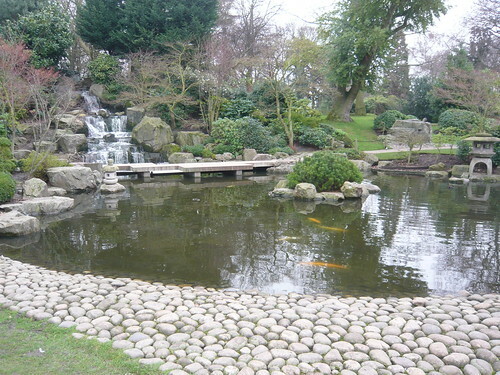 The pools often contain Koi to help harmonise the mind to be at peace. If contemplating your own Taoist garden keep it as simple as practical and use nature in its basic and simplest forms. Flora are chosen for shape and scent rather than colour. Plum or cherry trees for blossom and pine trees for height. Plants are used in symbolism. Peach trees represent immortality. Chrysanthemum long life and contemplation. Magnolia beauty and gentleness. Water lily truth and purity and bamboo represents the steps to enlightenment. The seeds of Islamic gardens grew from Persian gardens that were created to be oasis in the desert. 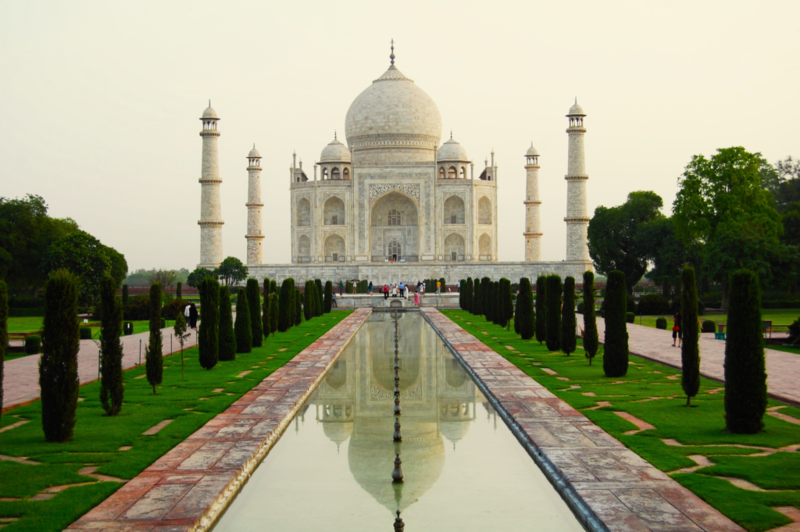 Islam spread the sphere of influence to India, Turkey, and Spain from the Taj Mahal to Alhambra. The objectives were to create a haven of order amongst chaos. A place to relax and understand the universe. Based on the significance of four items most of the designs are quadripartile. The four key elements include a boundary or enclosure generally of trees. Water channels dividing into 4 parts. A Gazebo or platform for poets to contemplate. Trees and flowers as a fourth element. After conquering parts of southern Spain the Arabs brought their distinctive style of gardening. 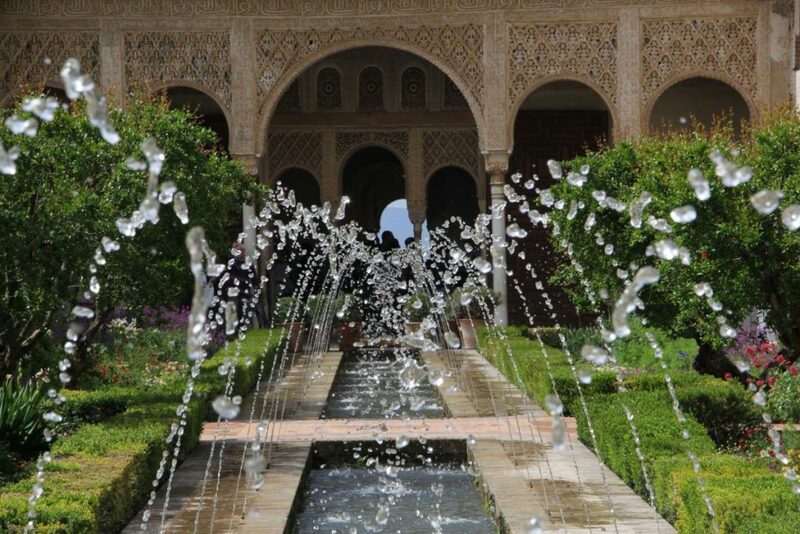 One of the most famous is the Moorish gardens at Alhambra. The entrances to Persian gardens often incorporated highly decorated buildings symbolising the gateway to paradise. Buildings and gardens were often integrated into one experience. What symbolisation do you wish to convey. Plan accordingly. It is quite acceptable to incorporate other gardening styles. 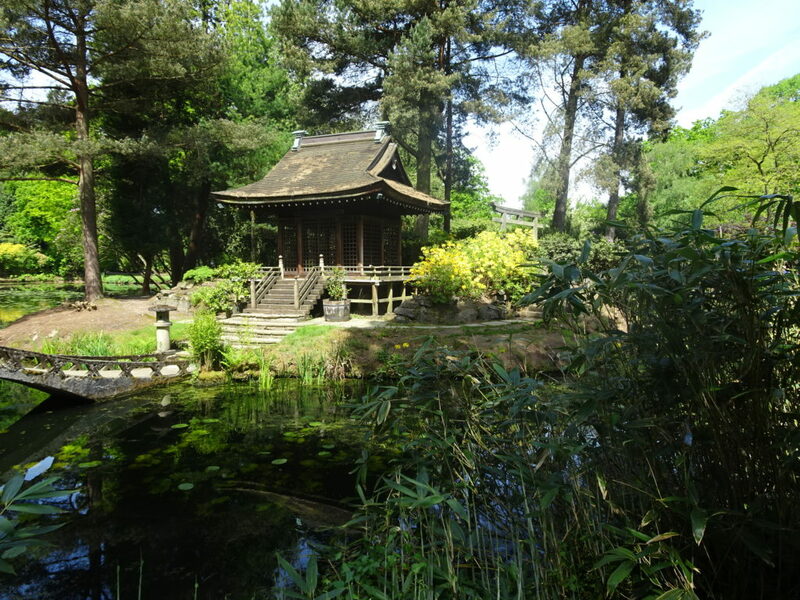 Some Asian gardens adapted various Hindu influences and European influences may be dictated by growing conditions. Think of a Persian carpet with neat squares combining into the garden space available. Peace is not just the absence of war it can be a reflection of a personal inner tranquility. To many gardeners peace may be a state of harmony with nature. It is a theme of several ‘hard landscape’ projects and sculptural works as shown by the selection of Peace gardens below. You can join this consciousness–raising network of gardens simply by declaring that your own garden, patio, balcony, or subject to appropriate approvals your local public park or garden be made into a World Peace Garden Bristol Communal Gardens Group & Clifton Gardens Society was designated a World Peace Garden in 2001. This organisation seeks to designate and develop the garden as a place for meditation and a symbol for peace throughout the world. Stron in the USA there is scope to nominate a UK garden via the link above. Are part of Sheffield’s Heart of the City project, a project that has been connected with the City’s economic and cultural regeneration since it began in 1998. Originally a temporary garden within the church walls named St Paul’s Gardens. 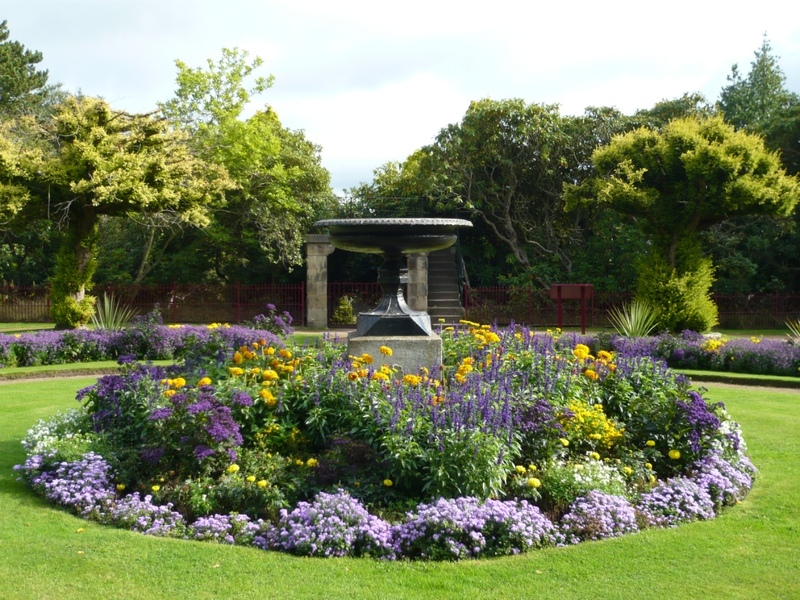 However the name changed to the Peace Gardens after WWII and a desire for a return to peacetime.The gardens occupy an area of 0.67 hectares with sculptures and fountains. The Peace Gardens form the central part of a spectacular walk, the emerging Gold Route, taking visitors from Sheffield Railway Station through a series of exciting new developments each with their own distinctive lighting, public art and water features. More information about the Peace Gardens’ History. 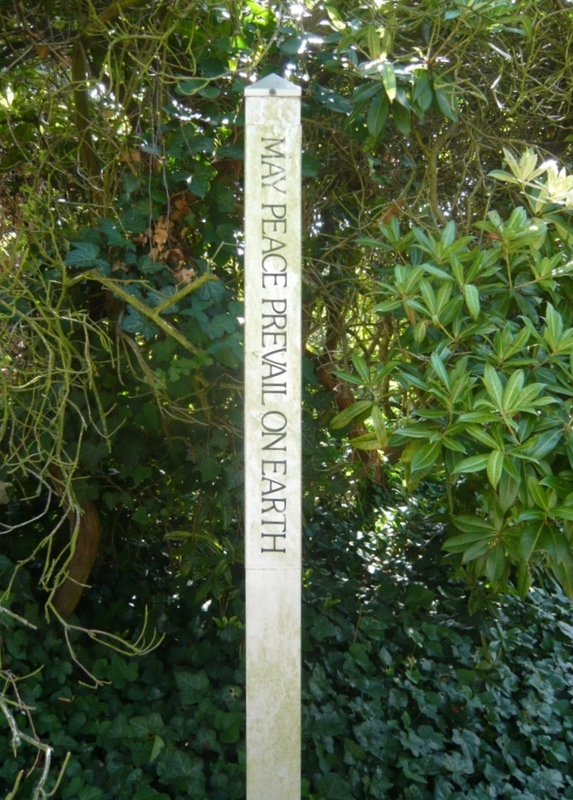 This is an example of a small public park in Birmingham designated as a monument to peace and a memorial to all those killed in armed conflict. Lies along the world’s longest unfortified border and encompasses a 2,339 acre Botanical Garden. Between the State of North Dakota and the Province of Manitoba this garden is a well frequented site maintained jointly by USA and Canada. It was dedicated in 1932 and devoted to World Peace. Find your own Peace in a garden or let us know about other ‘Peace Gardens’ you have visited. Many hospitals believe in the healing power of nature and the serenity it can provide. An old cemetery in the heart of Barnsley has develop it into a cleaner, safer environment for the local community. Romans were were enthusiastic gardeners (not just for the grapes) but when the empire fell gardening collapsed. Then in around the 9th century AD the gardening skills were revived and every town was encouraged to grow herbs, fruit and nut trees. The formal gardens of the middle ages had an atmosphere of tranquillity rarely equaled and were thought of as ‘Heaven on Earth’. With many features in common with Islamic gardens the Christian monks took inspiration from a revived interest in gardens. Boundaries and square structures were the most common with stone walls used in castles and cloisters. Hedges, wattle fences, palisades, trellis and ditches were also used as boundaries by the less well to do. The effort was made to make them safe as they were a place of retreat and protection from evil. Simple paths were used to divide up a rectangular space. A medieval garden could be a microcosm of paradise and seen as ‘a recreation of good things’. Raised beds of simple geometric shapes accentuated the impression of symbolically clean lines and at the same time helped drainage for herbs. Covered walkways and arbors created enclosed spaces within the already enclosed space of the garden. Seating was important to facilitate contemplation and prayer. Generally monastic gardens consisted of several different types of gardens for different and specific purposes. A monastery would typically have a physic garden, plus a secluded garden for contemplation and meditation. There would also be community facilities for separate vegetable and fruit gardens, orchard or cemetery gardens, as well as fishponds and dovecotes. As recorded on the behalf of St Hildegard Germany’s greatest mystic and God’s companion ‘The medieval garden, as with any garden, is a work of love. Gardens are instruments of healing, a means to provide sustenance and health, and reminders of our connectivity with the natural world. Modern tea gardens may seem to be a contradiction but since the 15th century the wabi tea ceremony has influenced the tea gardens purpose and design. Originally when tea plants (Camellia sensi) were introduced into Japan from China in the 6th century they were the prerogative of the ruling classes and used expensive ingredients and equipment. The subsequent simplification was started by Zen monk Shuko Murata. It led to the tea-room’s interior being reduced in space to the bare minimum needed for the contemplation of the relationship between people and things. 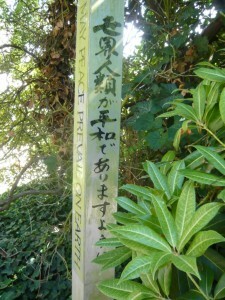 As a location for the tea ceremony the core attribute is providing a support for humility. ‘We can’t focus on what is important if our egos get in the way’. Thus the entrance to a tea house is generally so low that you must crawl to pass through it. The tea house should provide the best views for meditation. The objective is to create a hut that emphasises the rustic and humble. The approach to the tea house is through the tea garden. To sharpen the mind and senses the path should consist of a series of detailed views. Stepping stones help to slow your pace to a speed suitable for meditation and contemplation. Outside the door of the tea room is a stone basin to wash your hands and mouth before the tea ceremony begins. There should be a light or lantern to guide you in the dark. I will use Shangri-la as an all encompassing name for spiritually based gardens and areas of harmonious natural beauty stealing a name from James Hilton in his novel Lost Horizon. 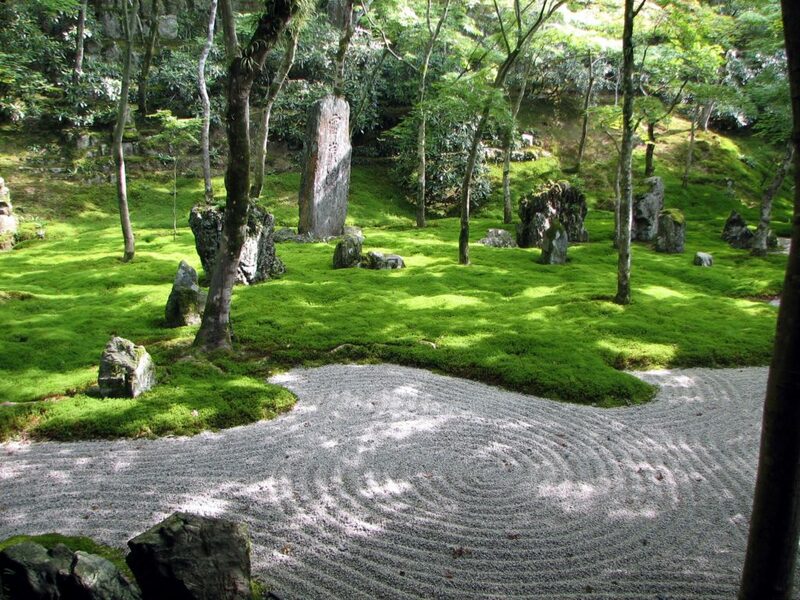 The essence of a spiritual, peaceful gardens is represented in different ways across the world by Buddhists from Tibet, Daoists from China or in Zen gardens from Japan. Some of these forms of a Shangri-la are known to feature in ancient literature from 200 BC. Persian Gardens over the last 5 millennia have soothed and calmed societies with the use of water representing the great rivers of the Tigris and the Euphrates. Building on this spiritual tradition Islamic Mogul gardens stretch across Asia. There have been examples of Hindu influences in India and other developments in Kashmir, Pakistan and Bangladesh together with gardens in other parts of the Mogul empire. Islamic Charbagh gardens are based on the four gardens of Paradise mentioned in the Quran. Monastic gardens in the UK and Europe are now renown for medicinal herb and vegetable growing. In the middle ages these gardens also acted as pleasure gardens, orchards and even cemeteries, in fact most of the aspects required to enjoy a healthy and spiritual life . The Hanging Gardens of Babylon were reputed to have been built alongside a grand palace known as The Marvel of Mankind, by the Babylonian King Nebuchadnezzar II around 605 BC). This was a gesture for his Median wife Queen Amytis, because she missed the green hills and valleys of her homeland. Tír na nÓg in Celtic mythology is the supernatural land only ever seen by a lucky few. Al0ong side the ‘Little Folk’ the slow pace of life has lush dwelling’s in peaceful trees with sumptuous flowers and landscapes that remain green all year round. ‘In the beginning’ of your gardening career you can access a large body of knowledge via media or if you are fortunate from experienced gardeners. All the experience will acknowledge the effect of the ‘tree of life’ or more prosaically the eventual death of trees and plants – reading Genesis may explain why. We know even long lived plants such as Ginko, Bristle Pines and Wollomia have a finite life although they will outlast generations of gardeners yet to come. Gardens are a long term proposition. It possible that in the hands of a well meaning gardener they can lead to the Elysian Fields noted in ancient Greece. God noticed there was ‘no rain’ and no cultivation of the ground so there are the initial couple of key jobs for any gardener. With the concept of the ‘tree of the knowledge of good and evil’ being in the middle of the orchard you may think the evil part included rot and pestilence. So a third task for gardeners is to maintain a clean healthy utopian garden. Adam needed help in the garden or was Eve the primary gardener as it is in my Arcadia. The garden of Eden should have ‘dominion over the fish of the sea (or garden pond?) 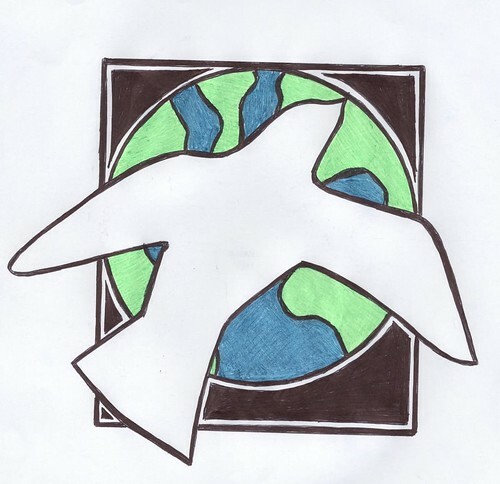 and over the birds of the heavens and over every living thing that moves on the earth’. A manifesto for an environmentally friendly approach to gardening. The original biblical garden was planted in the east of Eden but there are few limits to where a modern garden can be situated nor what you can try to grow.